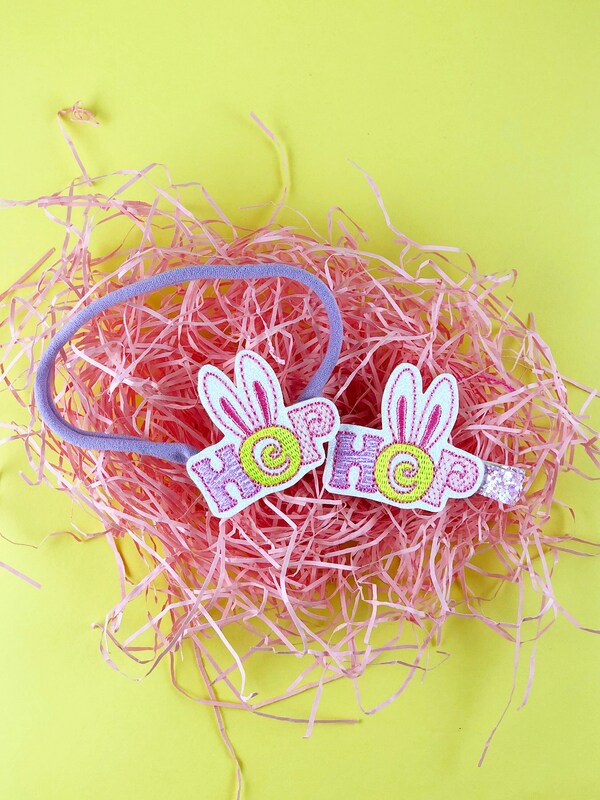 Hop into Easter with our Bunny-hop accessory! Available as a clip or headband. • ONE Bunny-Hop hair clip that features our European merino wool and glitter fabric. • ONE Bunny-Hop headband. Our nylon headbands are the best quality you can find! Soft, stretchy and will grow with your child over time WITHOUT losing its shape. Our clips are set on an right sided alligator clip with a non-slip grip — made to fit comfortably yet securely.